Directions: Take 70 heading past NASA and before White Sands Missile Range. It is on the east slope side of the Organ Mountains. Unlike most of the time-worn mountains in the area, the Organ Mountains are jagged and steep. They present a forbidding countenance to hikers. Over the years, many climbers have suffered severe injury while attempting to conquer this formidable landmark. Fortunately, the mountains also have easy trails for the casual hiker. The Aguirre Springs Recreation Area lies on the east side of Organ Mountains. The vegetation of the park changes with altitude. 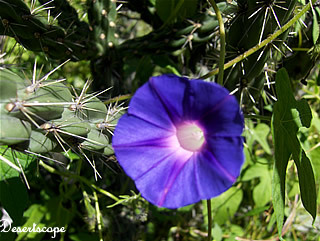 At the base of the mountains, we see desert shrubs and cactus. 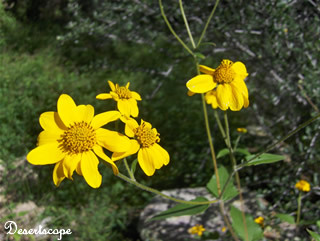 As we ascend the mountain, the vegetation changes and various trees such as piñon, juniper, and oak can be found. Many different species of mammals can be seen on the park, including deer, antelope, oryx, and (rarely) mountain lions. The park is run by the Bureau of Land Management. It has camp sites, picnic areas and two major trails. The Baylor Pass Trail is well marked and runs six miles to the other side of the Organ Mountains. 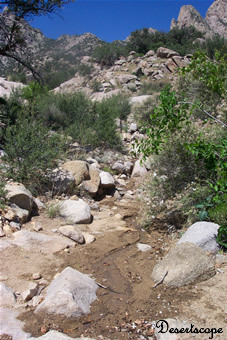 The Pine Tree Trail is a four mile trail that winds through the woods that cover the upper part of the Organ Mountains. Both trails offers great views of the Tularosa Basin.